A substantial antique Victorian sideboard in Mahogany. 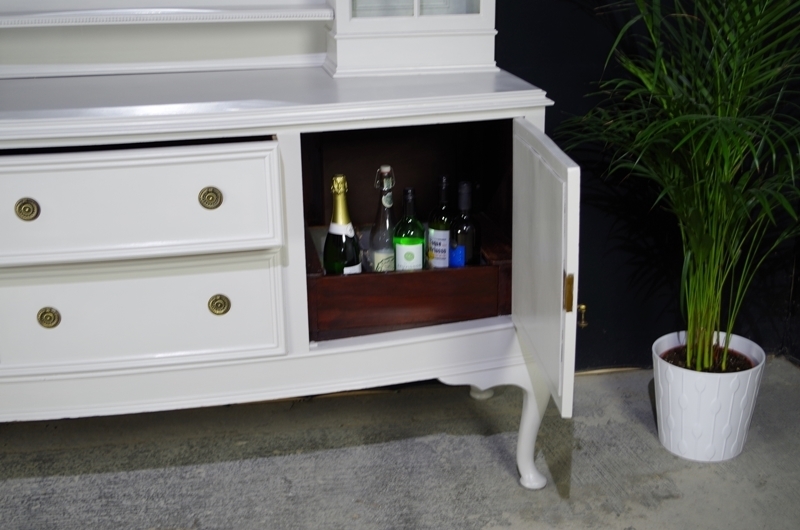 In the base, two outer cupboards with curved fronted doors, two central deep drawers. 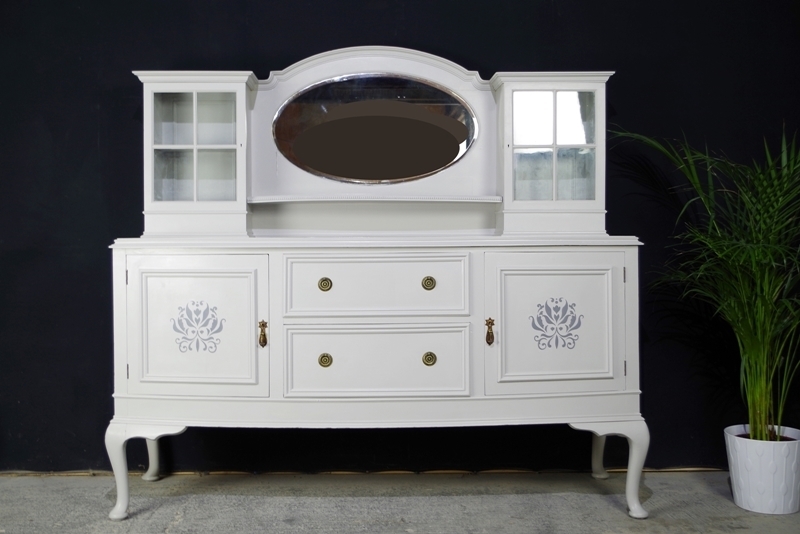 The top has two glazed display cupboards either side of the central oval mirror. 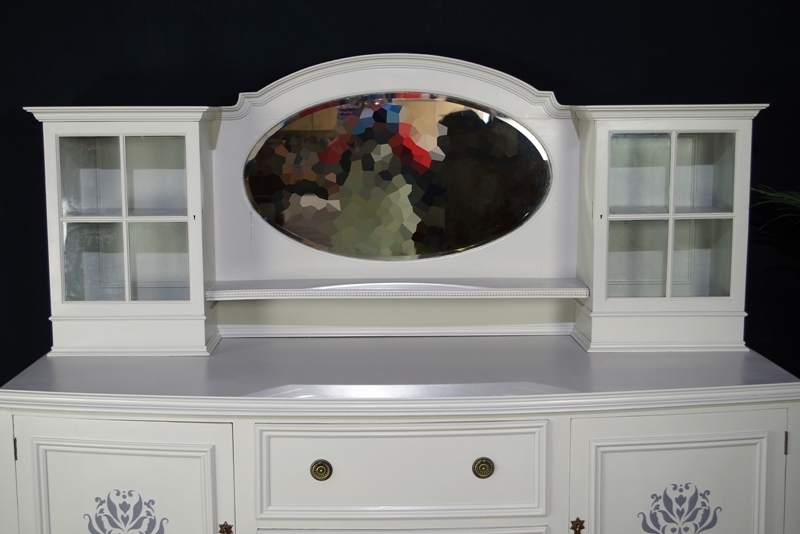 We have added panel mouldings to the curved doors and drawers. 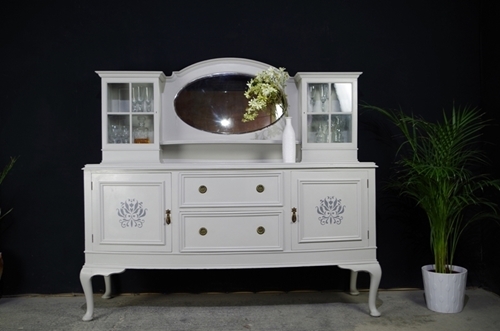 This is an imposing, antique, Victorian sideboard/server which would have originally been in a " Downton" type home. It has been well cared for, as apart from normal ageing it doesn't have any major problems. 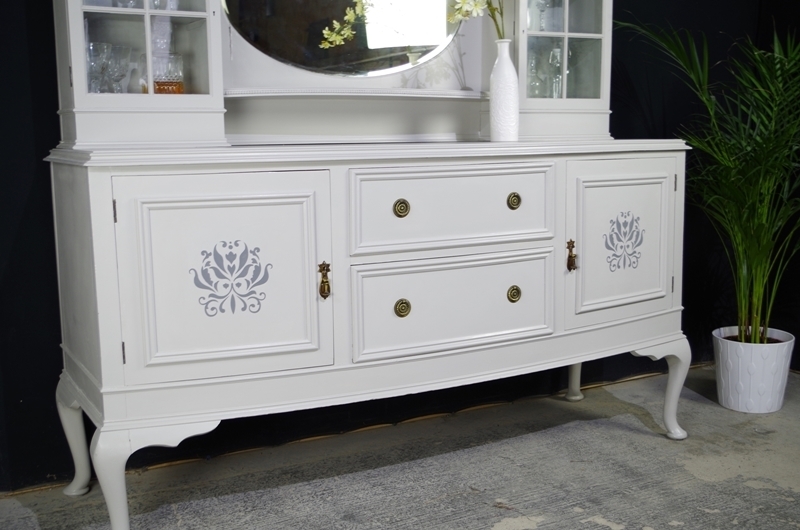 The sideboard doors originally had inlaid marquetry, but unfortunately this was cracking when we took charge. 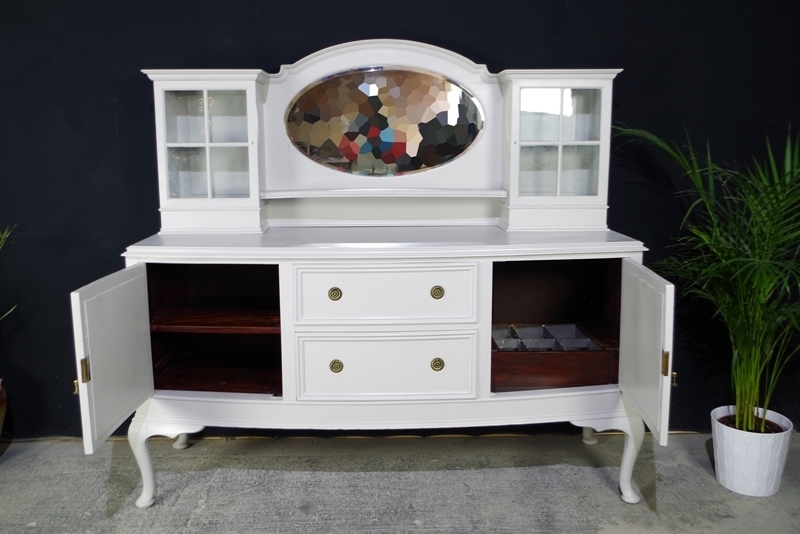 We filled and painted the doors to resolve this, but found that this left the front of the base too plain. 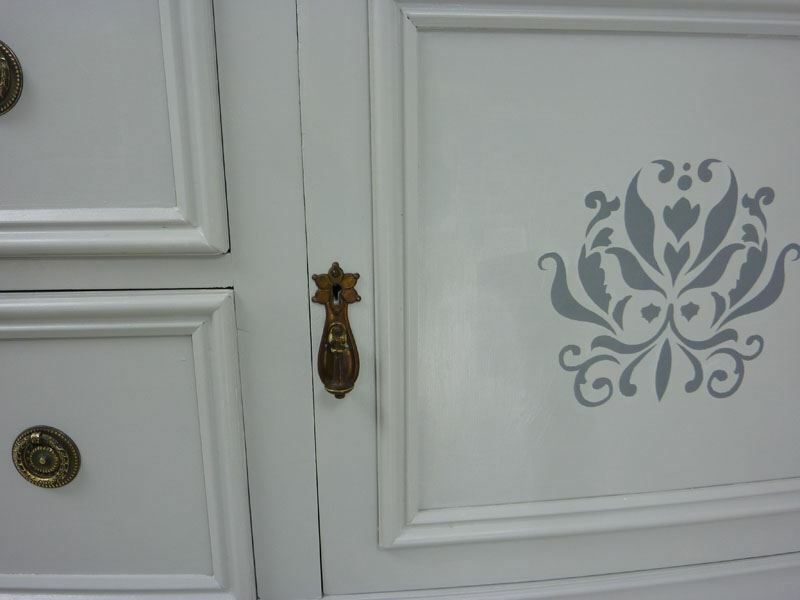 We therefore sourced some attractive beading and fitted this to both the doors and the drawers. 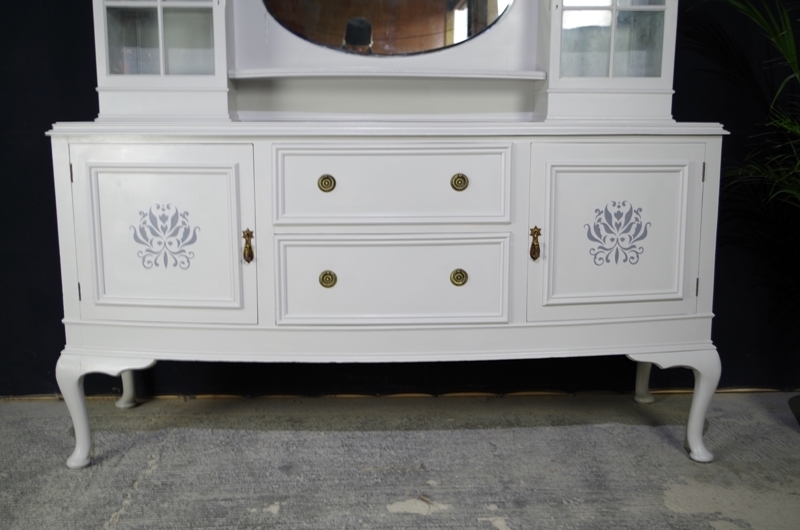 We completed the look by adding a French stencil. 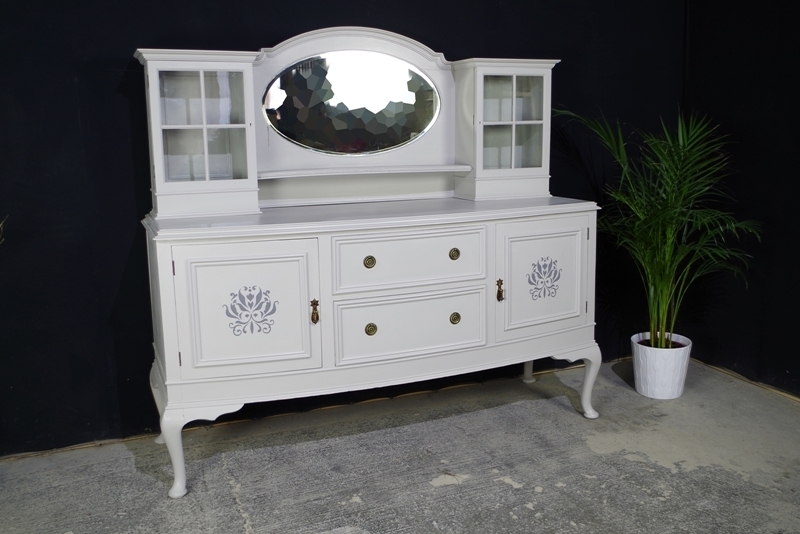 We chose "Spell Grey" by Farrow & Ball, acrylic water based satin paint, as we felt this was the right shade for the piece . We waxed with Carnauba to protect and leave a soft, silky finish. All the cupboard and drawer pulls are original. 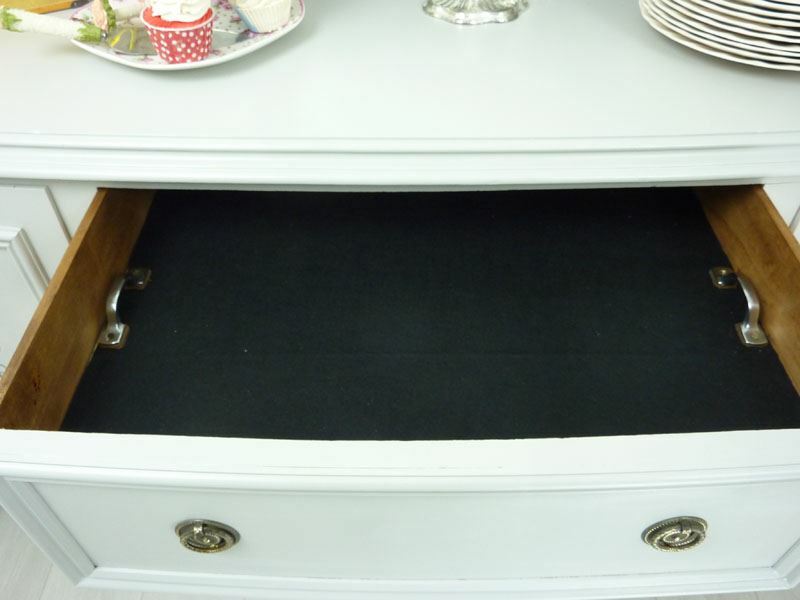 The top drawer has a cutlery lift which was covered with green baize/felt , this had suffered the ravages of time so we removed it and replaced with new black felt. In the base of the right hand cupboard is a drawer lined in thin lead sheet, we understand that this was the original washing up bowl; The Butler would have washed the fine glassware and silver in it after the gentlemen had joined the ladies in the drawing room. 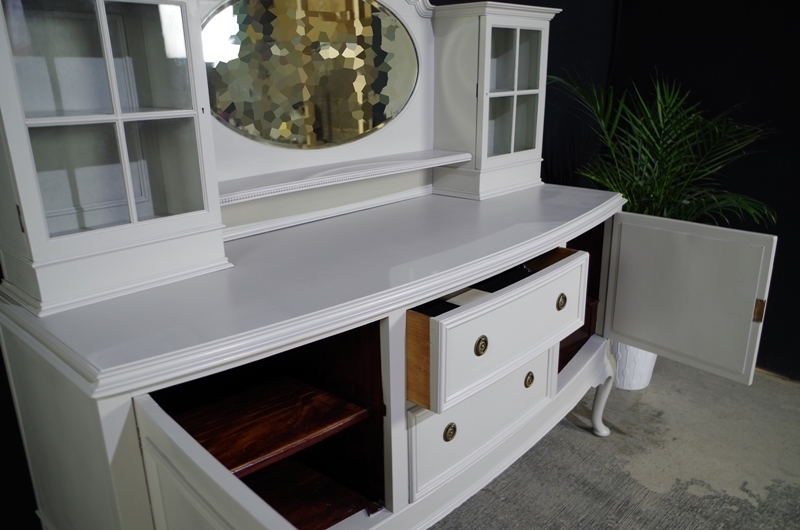 The sideboard was very much the Butler's 'workstation'.